There are literally thousands of films produced globally each year and for various reasons, including; time, geography, and distribution, it is for all practical purposes impossible to see all the quality movies that are released. In addition, since major studio releases tend to dominate movie screens, the chances are slim that you will see that small independent gem, documentary, or foreign film at your local multiplex. Here are ten films from 2015 forward that you may have missed but that are definitely worthy of your time and attention. Post apocalyptic, dystopian societies are nothing new to film, although they usually come with more commotion and chaos than are revealed in the opening scenes of The Survivalist, where the central character tends his small garden, checks his security procedures and leads a stark, spartan, and seemingly lonely existence. Rather than being tedious, the deliberateness and attention to detail in these scenes draws the viewer into the world of this man and what it might be like to actually live this way. Then, as if by magic or perhaps curse, a mother and daughter appear seeking sanctuary and the character known only as Survivalist realizes that his world is in jeopardy. Can he afford to let them remain? Are there others? What do they really want? The tension, suspicion, and anxiety during this meeting are palpable, reflecting the mindset of a man whose isolation has been unexpectedly ended. A hard, uncompromising bargain is soon reached and the three begin working and living together. The mother and daughter, however, plan to eliminate Survivalist and keep his humble farm, a plan that goes awry when he must rescue the daughter from a roaming kidnapper, becoming wounded in the process. As he recovers his health, perspectives change and the mother eventually makes her own dramatic decision. Survivalist must continue dealing with intruders in this harsh world and some of what occurs seems inevitable and unavoidable. By the conclusion, it’s easy to believe that this is how society might end. 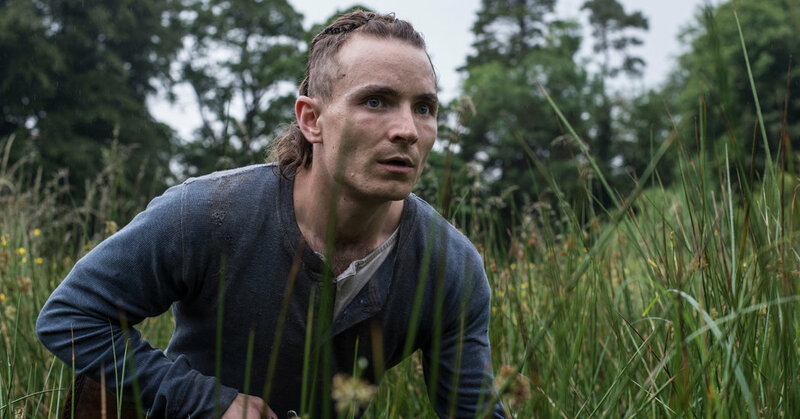 The Survivalist is the first full length feature for Director Stephen Fingleton and he demonstrates tremendous control over this taut, compelling story. The movie begins with tension and it is expertly increased as events unfold. Gerry (the great Ben Mendelsohn) is a real estate agent with a failed marriage and a gambler whose world is closing in. He owes money all over town and can’t catch the break he needs to turn things around. The local loan shark (Alfre Woodard) has summoned him and explained his rather dire situation. 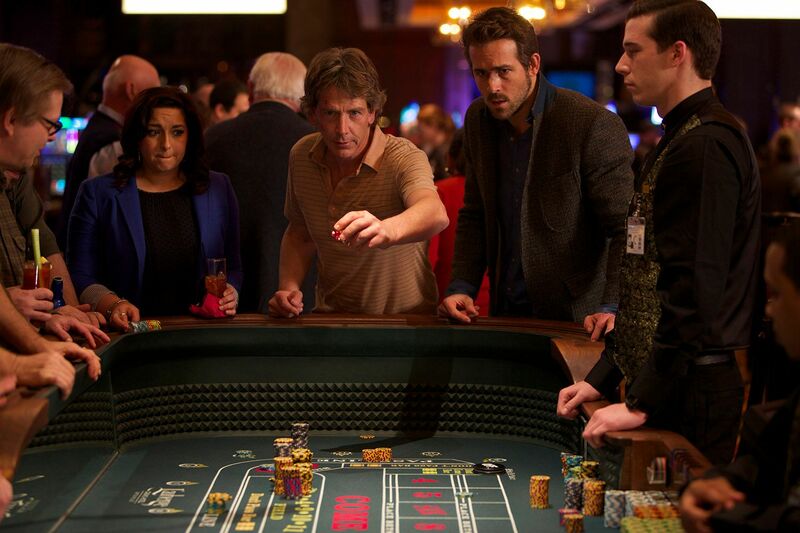 Then he meets Curtis (Ryan Reynolds) and decides that this man represents the luck he requires. It’s the rationalization of a truly desperate person. The two plan a trip to a high stakes poker game in New Orleans and what unfolds is a road movie superior to most. The story is well told and the dialogue is crisp, including some very dark humor. The secondary characters are well drawn and engaging, while the chemistry and comradery between the two leads is strong and sincere. Both actors give the excellent performances that this type of movie requires to succeed. 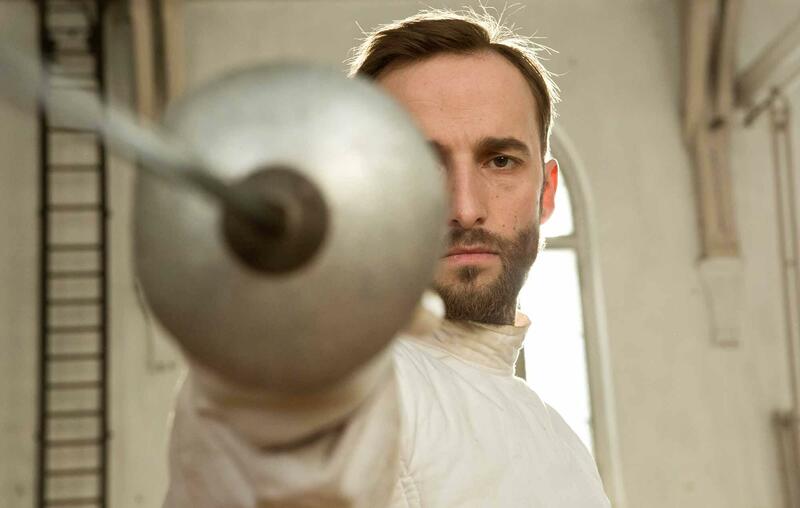 Curtis, as played by Reynolds, is charming, humorous, and quick on his feet. It’s easy to see how Mendelsohn’s character could become swayed by him. It is Mendelsohn, however, who is nothing short of brilliant in this film. He creates a character that you at times loathe, are sympathetic towards, and actually want to see succeed. The film also does an excellent job of displaying the effects compulsion has on people and the depths to which they can sink as a result. Gerry always has an explanation or excuse when things unfold badly and in one scene attempts to steal from his former wife while visiting her. He is a sad and pathetic individual, yet still worthy of redemption. Mississippi Grind is definitely a character driven movie and these two characters deliver in spades. You need a calculator to tally up the body count in this darkly comedic revenge thriller and many of those dispatched are shown very gruesome and creative fates. Stellan Skarsgard plays Nils, a local snowplow driver and citizen of the year in his community. Unfortunately for Nils, his son is dead, apparently of a drug overdose the authorities conclude. Nils is disbelieving and sets off to find the true perpetrators responsible for the death of his son, which leads him into the midst of two rival gangs. Skarsgard is like an avalanche in this film, once he gets moving, there is no stopping him. Dark and stoic, he is the center around which the ensuing carnage and chaos unfolds. The director, Hans Petter Moland, is clearly having fun with this material and seems intent on poking fun at some of the genres involved, including the novel idea of showing title cards with the name of each character after they are disappeared. Excellent here also is Pal Sverre Hagen as Greven, the pompous, preening, and manic leader of the local gang. The movie contains many beautiful shots of the local snow filled landscape and although the plot contains more turns than the roads Nils plows, it has been well worth the ride by the time the film reaches it’s final, bloody standoff. 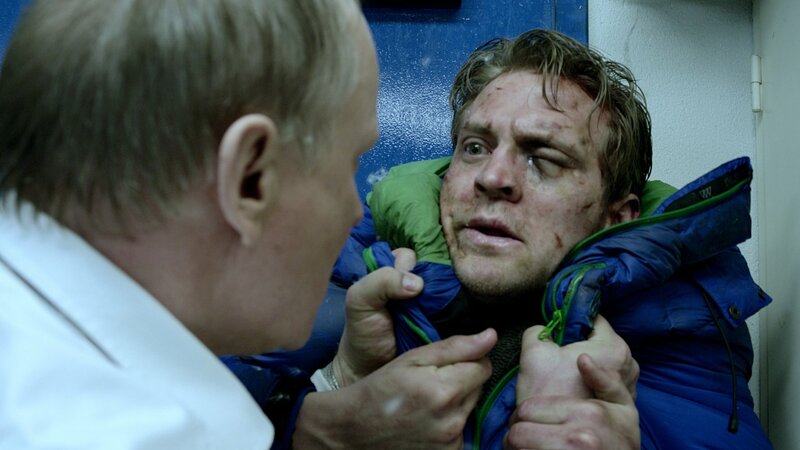 In Order of Disappearance, a film that suggests it’s OK to laugh at graphic, brutal violence. The evil practice of recruiting and using child soldiers is explored in excruciating and exhausting detail in this film, which takes place in an unnamed African nation. The anonymity is appropriate, as this problem exists in many countries where civil and political unrest are present. Abraham Attah plays Agu, the central child in the story who is captured by a roaming band of mercenaries after fleeing the murder of his father at the hands of another military group. The man in charge of these mercenary soldiers is known only as Commandant and is played by Idris Elba, who delivers an incredibly powerful award worthy performance. There is an evil, charismatic intensity about the character he creates. He is vile, but it is easy to see why he would be followed, particularly by the impressionable children under his command. Agu and the other recruits are hazed, trained, and indoctrinated into the ways of this mercenary band. As the story progresses, the young soldier’s childhood and even their humanity are quickly peeled away by the acts they witness and are forced to commit. They become detached and distant, visitors in their own lives. There is a sense of chaotic inevitability surrounding what happens, with goodness and virtue being characteristics that quickly vanish in the dust and blood. In the end, after enduring hell and becoming the beasts referenced in the title, we are left with the possibility that some of these young lives can be reclaimed and redeemed. A few films are great, a few are important, and a very few are both. 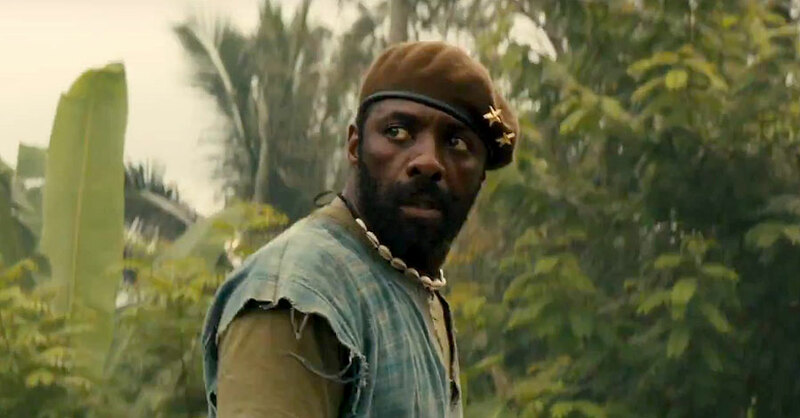 Beasts of No Nation is one of those films. Will and Kira are on their way to the house of his former wife Erin and her new husband for a dinner party when they hit a deer. They don’t realize it at the time, but this is the best thing that will happen to them that night. Will and Erin share tragedy, as years before they lost a child. Will is having a difficult time coping, but after arriving at Erin’s house, it seems like his former wife is fine, which makes Will uncomfortable. He doesn’t trust the seemingly superficial happiness that Erin and her new husband display. It doesn’t feel right. How could she so completely recover from such a devastating loss? 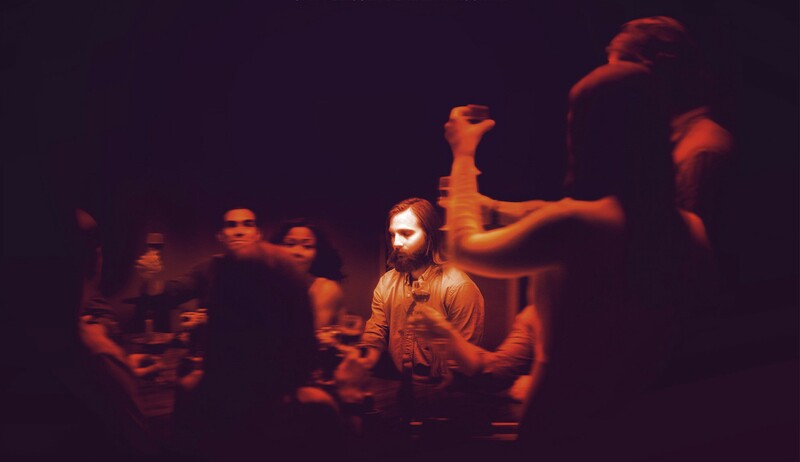 The other guests view Will as suspicious and paranoid and he is somewhat distanced from the group, where he fights his own personal battle while attempting to discover the truth. It turns out that the reason Erin and her husband seem to be thriving is that they have discovered a new spiritual path while in Mexico and they want to share it with there friends, whether they like it or not. Director Karyn Kusama does a tremendous job of creating unease and uncertainly from the beginning of this psychological thriller with heavy New Age overtones. The fragility of Erin’s perceived contentment is exposed, as is the greater intention of the spiritual groups members. Everything in this film works and it works based on the continued level of distrust and discomfort created by the excellent script and direction.